SeaKem® LE琼脂糖。分子级别常规凝胶电泳分析用琼脂糖，无DNase/Rnase,具有适用范围广，高强度，条带锐利清晰，低背景、高迁移率、低EEO等特点。Multipurpose, molecular biology grade agarose for any DNA or RNA application. ideal for routine analysis of nucleic acids by gel electrophoresis and blotting. Each gel sharply resolves DNA and provides consistent resolution from lot-to-lot. This molecular biology grade agarose has no detectable DNase or RNase activity and forms strong gels with low background upon ethidium bromide, SYBR® Green, or GelStar™ Staining. Due to its low EEO, DNA will have a high electrophoretic mobility. SeaKem® LE is also recommended for protein gel electrophoresis in applications such as Ouchterlony and radial immunodiffusion (RID). SeaKem LE AGAROSE 1KG 50005"
InCert™琼脂糖，低凝固点琼脂糖，主要用于PFGE前的染色体样本酶切消化制备。Genetic Technology Grade™ InCert™ Agarose is a low gelling temperature agarose useful for preparing chromosomal DNA samples prior to PFGE. InCert™ Agarose is certified for chromosomal DNA preparation and restriction endonuclease digestion within an agarose gel plug. A Certificate of Performance is included with each shipment, and protocols for preparation and digestion of chromosomal DNA in agarose gel plugs are available from Technical Service. 高韧性，GTG纯。适合100bp-23kb核酸片段电泳回收和克隆。SeaKem® GTG™ Agarose is a standard gelling temperature, high gel strength agarose that resolves DNA fragments greater than 1,000 bp. This Genetic Technology Grade™ (GTG) agarose is specifically designed for preparative DNA electrophoresis and is tested for the presence of proteases, ligases and nucleases. DNA recovered from SeaKem® GTG™ Agarose gels may be reliably digested and ligated. SeaKem® GTG™ Agarose is extensively performance tested to ensure complete compatibility with routine molecular biology techniques. A Certificate of Performance containing end-use test information is supplied with each shipment. Performance Certified for Large Fragment Recovery SeaKem® GTG™ Agarose ensures reliable digestion and ligation from recovered DNA or RNA fragments from 100 bp to 23 kb. Our Genetic Technology Grade™ Agarose is quality tested to certify performance. SeaKem® ME Agarose is a moderate EEO agarose that is often used for serum protein electrophoresis, IEP and occasionally for nucleic acid electrophoresis. Electrophoresis of proteins in agarose gels has distinct advantages compared to polyacrylamide for some applications. Agarose gels can easily and effectively separate high molecular weight proteins and protein complexes (>600 kDa). – Safe – No toxic monomer solutions required. Agarose is safer and easier to work with. – Effcient recovery – High recovery yields with simple procedures. Effectively separates high molecule weight proteins and protein complexes. 高凝点，高韧性琼脂糖SeaKem® HGT Agarose is a high gelling temperature (42° C) agarose that exhibits high gel strength and clarity. SeaKem® HGT Agarose is primarily used in protein electrophoresis applications such as counterimmunoelectrophoresis and crossed immunoelectrophoresis. SeaKem® HE Agarose is a high EEO agarose that provides enhanced resolution in immunoelectrophoresis (IEP), crossed-IEP, counterimmunoelectrophoresis (CIEP), and serum protein electrophoresis. SeaKem® HEEO Agarose is a very high EEO agarose that is useful in applications requiring significant cathodal migration, such as IEP of IgG and IgM. SeaKem® HEEO Agarose can also be used to blend with a lower EEO agarose to achieve a specific EEO value. 高分辨率琼脂糖，高韧性，分子级纯度，特别适合小片段核酸电泳。NuSieve™ 3:1 Agarose is a molecular biology grade, standard melting temperature agarose that yields strong gels for fine resolution of small DNA, RNA, and PCR products from 10 bp up to 1,500 bp. These easy-to-handle gels enhance the speed of gel processing and blotting. NuSieve™ 3:1 Agarose is designed for analytical electrophoresis. If you prefer using a low melting temperature agarose, we recommend NuSieve™ GTG™ Agarose, which is certified for applications requiring complete compatibility with enzymes used in cloning. 高分辩率琼脂糖，媲美丙烯酰胺凝胶且无毒无害。MetaPhor™ Agarose is an intermediate melting temperature agarose that provides twice the resolution capabilities of the finest sieving agarose products. You can resolve DNA fragments, PCR and RT-PCR products, differing in size by 2%, in the range of 200 bp to 800 bp, by submarine gel electrophoresis. For example, a 200 bp DNA fragment can be separated from a 204 bp fragment. Using fast running protocols DNA differing in size by 1% can be resolved in as little as 1.5 hours in a 20 cm long horizontal or vertical gel format. MetaPhor agarose gels (2% to 4%) approximate the resolution of polyacrylamide gels (4% to 8%). These agarose gels are ideal for resolving AMPFLPs, STRs, and tri- and tetranucleotide repeats. 金标琼脂糖。可实现Mb级大片段DNA的快速分离；适合脉冲场电泳。标准溶胶温度。GTG纯，高韧性，低EEO。 SeaKem® Gold Agarose is a very high gel strength, low EEO, standard gelling temperature agarose. This Genetic Technology Grade™ Agarose is for rapid resolution of megabase DNA by pulsed field gel electrophoresis (PFGE). Due to its low EEO, the electrophoretic mobility of DNA in SeaKem® Gold Agarose gels is significantly greater than in conventional agarose gels. Run times for PFGE can be decreased by as much as 50% depending upon buffer and agarose concentration. Due to its high gel strength, SeaKem® Gold Agarose forms easy-to-handle gels at low concentrations (as low as 0.5%), which allow for the separation of larger DNA fragments by conventional electrophoresis as well as a decrease in the time needed to separate DNA by PFGE. For the recovery of megabase size DNA fragments following PFGE separation, we recommend SeaPlaque™ GTG™ Agarose and ß-Agarase. GTG纯的低熔点琼脂糖，适合电泳核酸片段的回收，特别是大片段回收。 Best choice for DNA and RNA recovery and cloning of fragments 100 bp to 23 kb. Ensures reliable digestion and ligation from recovered DNA or RNA fragments from 100 bp to 23 kb. SeaPlaque™ GTG™ Agarose is a Genetic Technology Grade agarose used for separating DNA and PCR product fragments greater than 100 bp. 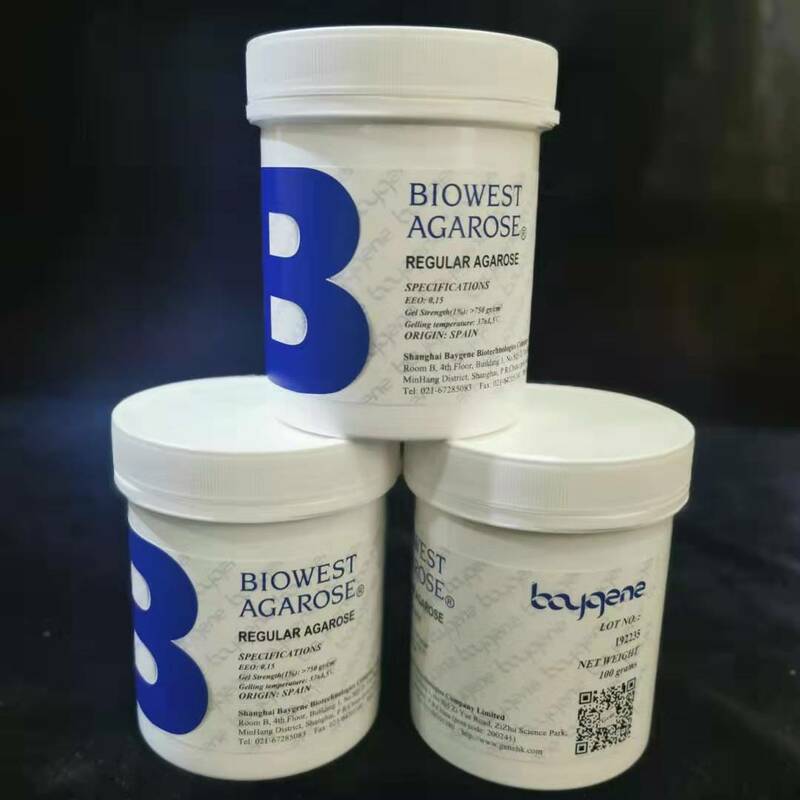 This low melting temperature (65º C) agarose is ideally suited for direct enzymatic manipulation of nucleic acids in remelted agarose without additional DNA purification and is tested for the presence of proteases, ligases and nucleases. It is also compatible with PCR and sequencing reactions carried out in the presence of remelted agarose gel. Performance Certified for Large Fragment Recovery and In-gel Reactions. Confidently resolve fragments from 200 bp to 25 kb prior to PCR, cloning, digesting, or sequencing in the presence of re-melted SeaPlaque™ GTG™ Agarose, without additional purification steps. This low-melting temperature (65°C) Genetic Technology Grade™ Agarose is quality tested to certify performance. 50度超低熔点琼脂糖。低凝固点。SeaPrep™ Agarose is a specialty "soft agarose" product with ultralow gelling and melting temperature properties that make it valuable for many techniques involving biomolecules. SeaPrep® Agarose gels below 17ºC and then may be melted at 40ºC-50ºC. The extended ultralow working temperature range permits great latitude and convenience for handling of heat-labile biomolecules. SeaPrep™ Agarose is an excellent medium for hybridoma cloning and produces soft, clear gels. At concentrations of 0.8%-1.5%, the soft gel texture makes SeaPrep® Agarose a suitable suspension medium for cells and facilitates their recovery by gentle mechanical disruption for subsequent growth in liquid media. Growth factors can be added to SeaPrep® Agarose along with other nutrients to produce a “defined” medium. SeaPrep™ Agarose can be used to expand cDNA plasmid libraries in a strictly representative fashion, decreasing the possibility that less abundant clones vanish during amplification due to differential rates of replication. For reliable separation of VNTRs, HVRs, RFLPs, and DNA size standards, it is a perfect match for your DNA typing tests. I.D.NA™ Agarose is a high gel strength, low electroendosmosis agarose developed for consistent resolution of DNA in DNA identity testing. I.D.NA™ Agarose is certified under DNA identity testing conditions to exhibit clear DNA banding patterns necessary to discern VNTRs, HVRs, RFLPs, and DNA size standards. This high performance agarose displays high DNA transfer efficiency upon blotting and the lot-to-lot consistency required for DNA profiling tests. I.D.NA™ Agarose forms easy-to-handle gels that withstand the rigors of DNA identity tests. 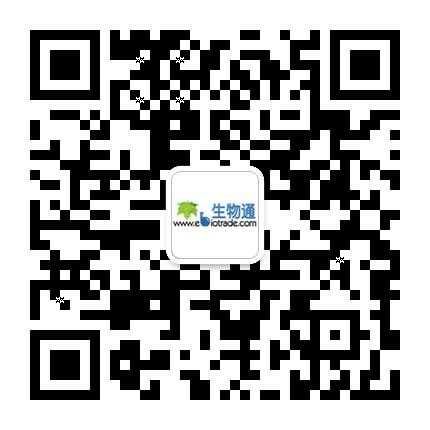 等电点聚焦用琼脂糖。无EEO，超低背景，高分子量蛋白可快速聚焦。IsoGel™ Agarose is a highly purified agarose specifically manufactured for isoelectric focusing (IEF). It has no measurable EEO due to a manufacturing process which minimizes fixed anions and mobile cations. An IsoGel® Agarose gel is easy to prepare and produces a gel with high clarity and less restrictive matrix than polyacrylamide, thereby allowing rapid focusing of higher molecular weight proteins (≤200 kD). Focused proteins can be transferred from the porous agarose matrix or detected by immunological techniques. It is also possible to transfer proteins from these agarose gels into a second dimension polyacrylamide or agarose sieving gel. IsoGel® Agarose gels have very low background stain and proteins are easily visualized by conventional protein stains.